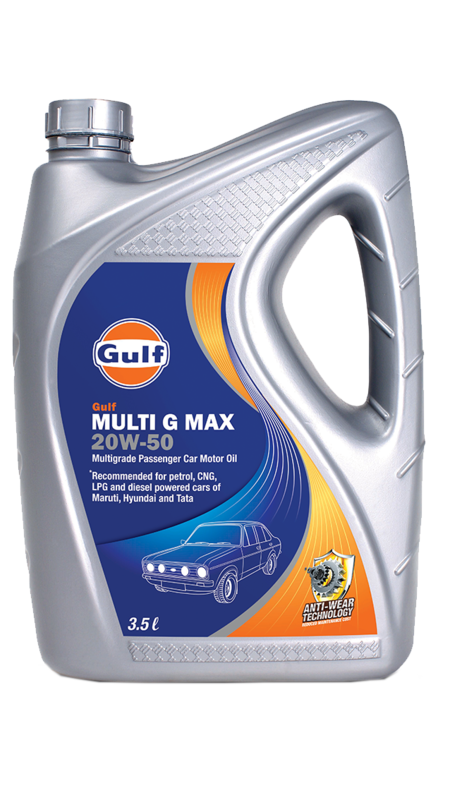 Multi G Max 20W-50 - Gulf Oil Lubricants India Ltd.
Gulf Multi G Max is a premium quality passenger car motor oil designed for cars & UVs powered by petrol, diesel, CNG or LPG engines – both naturally aspirated as well as turbo charged. It is blended from high quality base-oils and using anti-wear technology to provide superior protection against wear, rust and corrosion of components at high temperatures. Minimised component wear results in reduced maintenance costs.